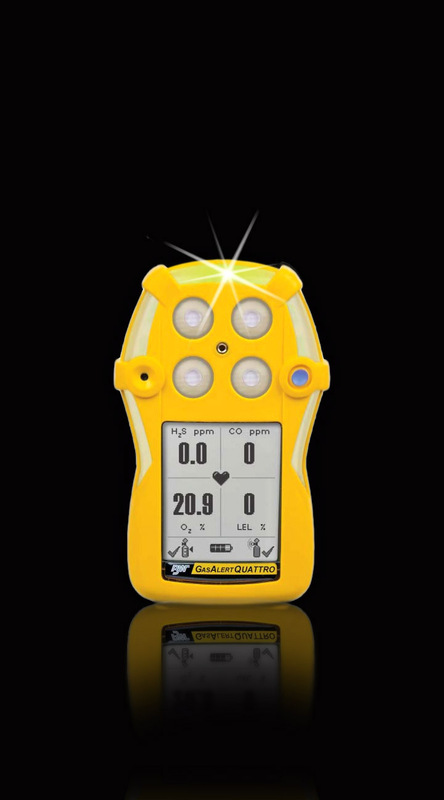 EAGLE 2, Six Gas Sample Drawing Monitor. Improper calibration and irregular service can render your gas monitors useless. The news reports are all too frequent. Every year several workers die in gas related accidents. Many of these could have been prevented through the use of a properly calibrated and maintained gas detection instrument. Confusion often surrounds gas monitors, which are a technical piece of equipment often operated by non-technical personnel. Operators are often unaware of calibration requirements and many instruments are used until they either don’t function or are in continuous alarm. In addition to the tragic consequences of death and severe injury, are the steep fines and penalties imposed by OSHA, and the subsequent costly lawsuits filed after the accident. For example, in 2002 OSHA fined a paper mill $91,000 after two workers were killed and eight others injured after being overcome by Hydrogen Sulfide gas. A basic understanding of calibration procedures and top-level maintenance issues can save your company from costly fines and lawsuits and most importantly keep your workers safe. So what is the proper frequency of calibration? This has been a gray area for many years and has helped contribute to the confusion surrounding calibration. Prior to May 2004 OSHA had never made a recommendation on calibration frequency, only stating that a properly calibrated instrument must be used when there is the potential for harmful gas in a working environment. This vague mandate left it up to the manufacturers to decide what properly calibrated meant. Some manufacturers stated every 30 days and others recommended as much as 180 days. This made it all the more confusing if you had monitors from several different manufacturers. However, in 2004 OSHA published a bulletin in which the ISEA(International Safety Equipment Association) issued a position statement clarifying some confusions surrounding calibration.